Israel's 'Prisoner X' May Have Passed State Secrets : The Two-Way The Australian Broadcasting Corp. reports that the man identified as Ben Zygier "was arrested by his own spymasters after they believed he told Australia's domestic intelligence agency about every aspect of his work with the Israelis." Zygier apparently committed suicide in 2010 after 10 months in prison. The story of "Prisoner X" is dominating the media in both Australia and Israel. Last week we told you about "Prisoner X," the mysterious Israeli-Australian citizen who worked for Israel's spy agency Mossad. Australian media broke the story of how the man identified as Ben Zygier languished for months in an Israeli prison until he was found dead of an apparent suicide. Now we have new details on the case. "Suspected Mossad agent Ben Zygier was arrested by his own spymasters after they believed he told Australia's domestic intelligence agency about every aspect of his work with the Israelis, sources say. "The ABC's Foreign Correspondent program understands that Zygier met with ASIO officers in Australia and gave comprehensive detail about a number of Mossad operations, including plans for a top-secret mission in Italy that had been years in the making. "It is unknown who initiated the contact. "Sources have told the ABC that on one of four trips back to Australia in the years before his death in 2010, Mr. Zygier — who also used the surnames Alon, Allen and Burrowes — applied for a work visa to Italy." 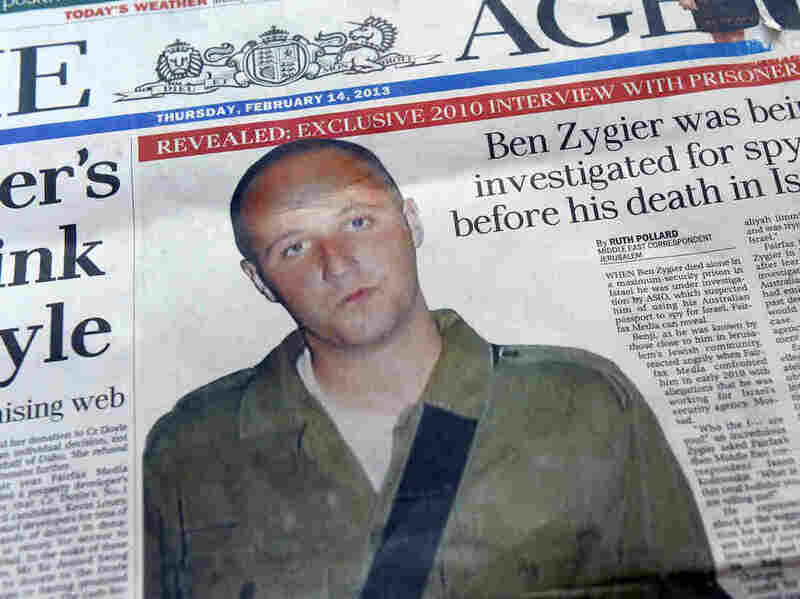 Zygier is believed to have been arrested in 2010 and held in Israel's maximum-security Ayalon prison. He apparently took his own life 10 months later. "He was Ben Zygier ... an Australian Jew, migrated to Israel around the age of 18. He joined the army and then the Mossad. And now, we don't really know what he was doing for the Mossad, of course, because that's all secret. But when he was 34, in 2010, he was arrested, and we don't know exactly why. He was held in Israel's famous Ayalon prison and apparently faced some serious charges. "He was held under a false name, which is not unheard of in Israel, but it's rare. And apparently, that was with his own consent, partly to protect his own family. He was in a specially designed cell meant to protect against suicide, but he managed to hang himself somehow in 2010. A handful of people knew that this was going on in Israel, but thanks to a judicial gag order, most Israelis knew nothing about this until this past week." As Larry said in that conversation, Zygier was one of three Australian émigrés who traveled back and forth from Australia, changing their names and getting new passports. Zygier is said to have changed his name three times. "These men may have been using these passports to go to places that Israelis can't normally go to, like Syria and Iran for their Mossad work," Larry said. "Well, you know, Israelis are used to a lot of secrecy here, but I think even they are sometimes surprised at some of the goings-on and the fact that somebody was held, you know, all these years ago, committed suicide, and nobody knew about it. There has been outrage about the idea that in a democracy like Israel you can still have secret arrests and a secret trial, but it does turn out that Zygier did have access to attorneys." On Sunday, Prime Minister Benjamin Netanyahu made his first comment about the case. He noted that Israel is "not like other states." "We are an exemplary democratic state, and we protect the rights of the interrogated and individual rights no less than any other country," he said. "But we are also more threatened and face more challenges, and thus we must maintain the proper activities of our security services. Therefore I ask of everyone: Let the security forces continue to do their work undisturbed, so that we can continue to live in security and tranquility in the State of Israel."